The esports market has been growing rapidly with an estimated worldwide market revenue of $906million for 2018. 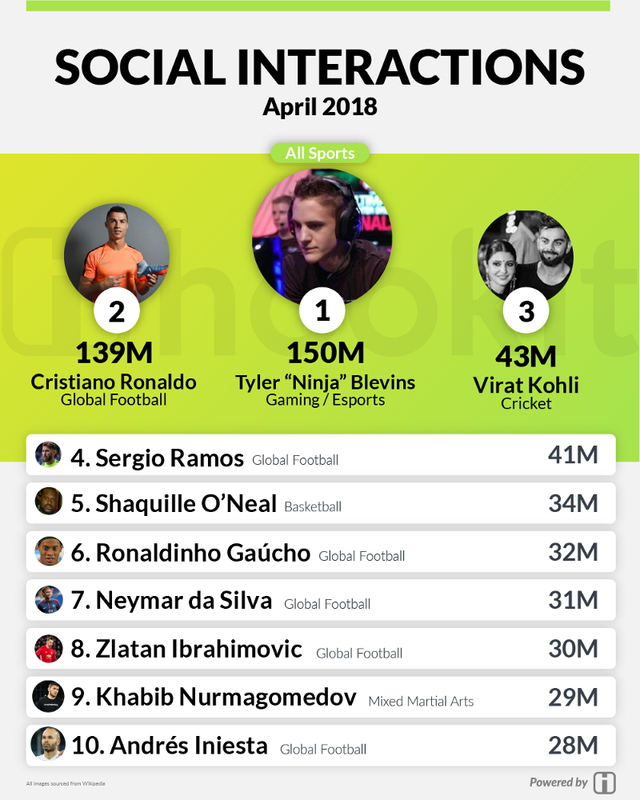 Leading the charge is esports star Tyler “Ninja” Blevins who surpassed athletes from major sports, such as Cristiano Ronaldo, to claim the TOP PLACE in social media interactions for April. Here are Hookit’s social rankings for April!